Whether your style is contemporary or more traditional, this XL TV stand is beautifully in tune thanks to clean lines and a simply striking presence. 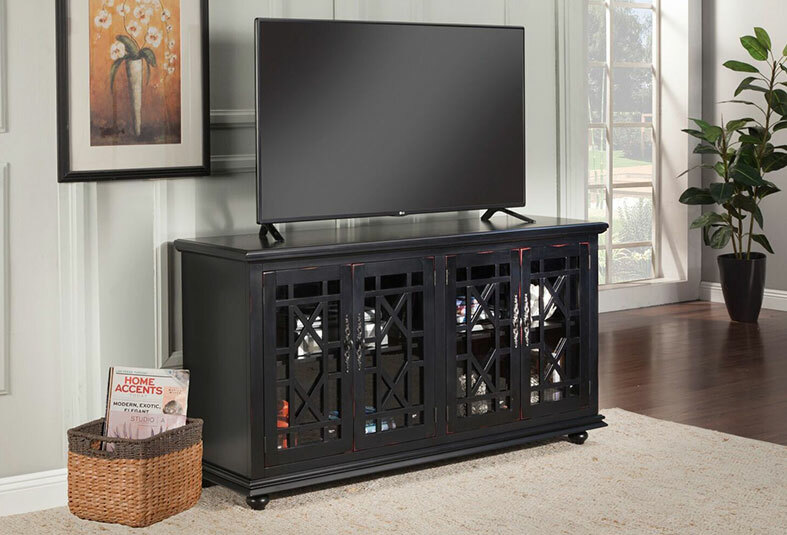 This TV stand is designed to work effortlessly with the optional fireplace insert that allows you to enjoy the cozy feel of a fireplace without the hassle or maintenance. Constructed of wire-brushed Oak veneers in a natural finish, the Affinity Entertainment Console has an organic, contemporary look with a touch of glamour. Constructed of hardwood solids with metal framework with an open electronic storage area, each outside door encloses an adjustable shelf.